When you use unconventional cleaners on your oven you may end up with results you don't expect. 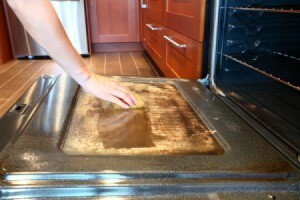 This is a guide about cleaning chemical stains in an oven. 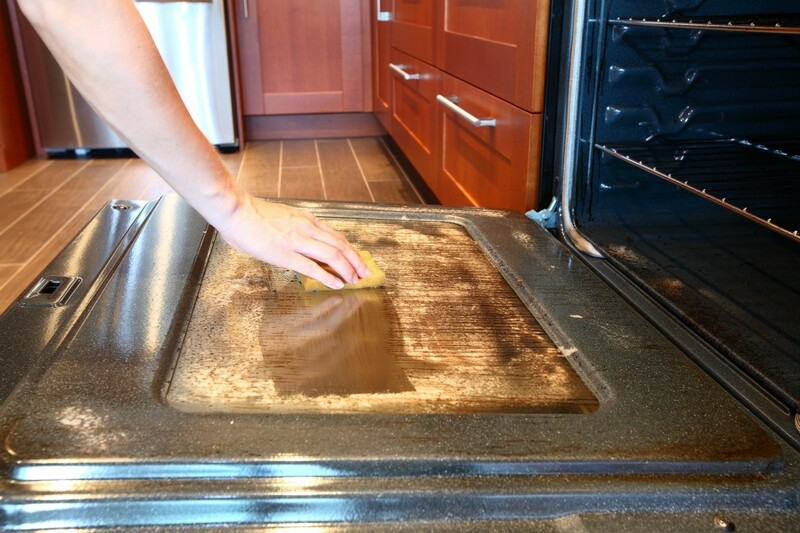 How to remove burned chemical stain from an oven. I had put degreaser all over the inside of the oven to clean. My husband unaware of this turned the oven on and when I noticed it, it was too late to try to clean with out burning myself. It has left chalky like stains all over, and I don't know what else to do. The bad part is that we live in an apartment. I have only tried cleaning it with more degreaser, but it is still "dirty". The same thing happened to me, except I was the one to turn the oven on after spraying it. How do I remove the chalky stain?